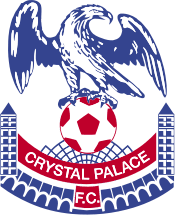 Crystal Palace vs. Forest preview.. | Through the seasons before us..
Not related to your post, but great to see this page is now optimised for iPhone viewing. Nice one. So it has! Would love to take credit, but think the wonderful folks at WordPress are responsible! Hopefully the trip to the capital will prove fruitful. Looking over there Fan sites there not that confident. i think tys having a rest may not be as bad as it seems due to his explosive style of play, though blackstock will be sourly missed. This is the nearest champsionship ground to where I live in Balham so I can get the bus to the ground! Can’t help reading that as “the willy Neil Warnock”…. I too greatly admire Warnock in many ways, I even quite like his cartoon villain persona. That said, he hasn’t seemed to quite get to the same levels he managed at the Blades in the Championship at Palace to me. I do think the game will prove a challenge, though! Ah I just guessed the away allocation will get sold out, will try for these then. neil warnock is just an old robbie savage, old robbie savage, your just an old robbie savage! hope tyson does play today, want to get “we’ll pay your fine for you” started for the lad, he’s just become a father, again and poor little hendrix needs keeping in nappies! Result, in away end! UUUU REEEEDDDDDDS!